When developing the social media strategy for your brand you’d be forgiven for overlooking Instagram. Even though the platform boasts 300 million monthly users, it is often forgotten about by brands in favour of platforms such as Twitter or Facebook. However, recent research suggests that Instagram surpasses Twitter in terms of engagement levels, so ignoring the platform could be harming your brand. The best Instagram accounts stick to a theme for their posts. Sometimes a messy Instagram feed with lots of random photos can put users off of the account. Stick to a theme that works well with your brand and your posts, whether that be a black and white filter or adding a border to your photos. Take a look at your favourite Instagram accounts; what was it that drew you to their account? What do you like about their feed? Look out for things like photo brightness, filter and saturation. Successful Instagram accounts have a uniformity across their posts. 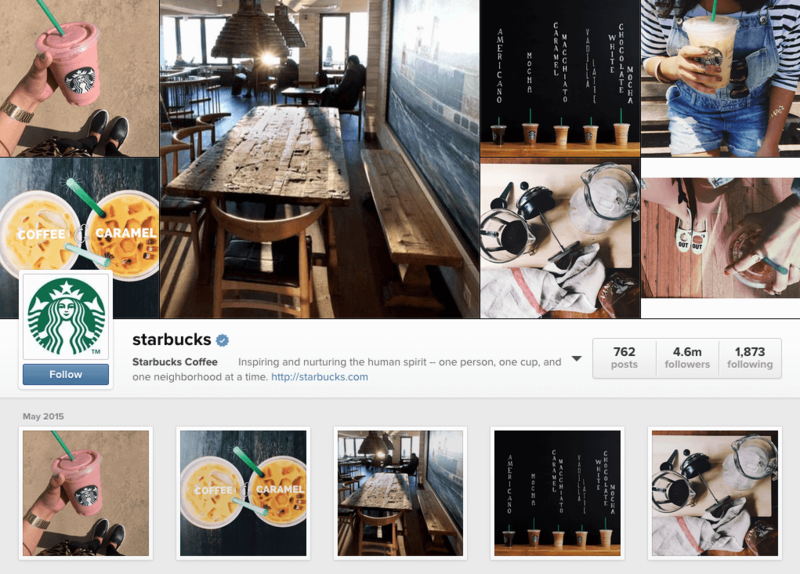 This can be seen below in Starbucks’ Instagram feed. Their photos are creative and modern and use a similar filter which creates harmony within their feed. This appears to have paid off, as they currently have 4.6m followers! Just like on Twitter and Facebook, when used correctly, hashtags can be incredibly effective at widening your exposure on Instagram. Hashtags are also a great way to engage your audience as they can be used to encourage users to share their photos with you using the hashtag. Just like with Twitter, hashtags should be used sparingly on Instagram. Adding too many hashtags to a post can look spammy, so you should stick to a couple of hashtags relevant to the post that you are sharing. Using the correct hashtags on Instagram is a fantastic way to get your post (and your brand) in front of an audience who are actively searching for the hashtags and for posts just like yours. Likewise, failing to utilise hashtags can really limit the reach for your posts. 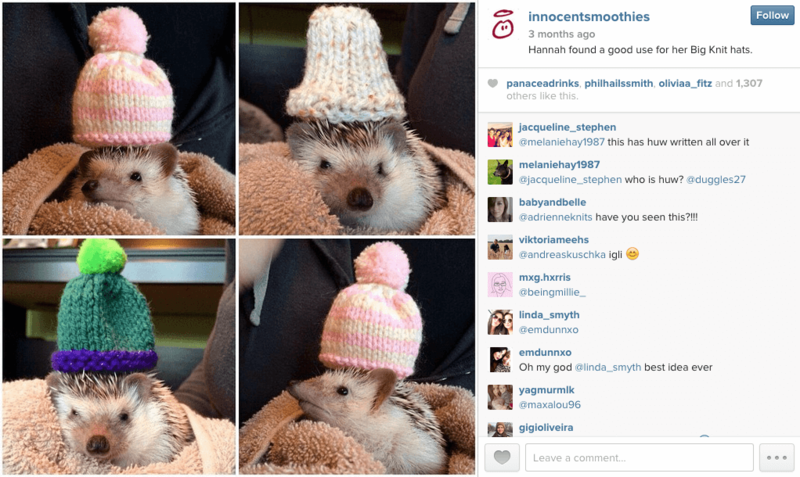 This is where lots of brands get their Instagram strategy wrong. Although it is a great place to showcase your products, it shouldn’t be used solely to sell, sell, sell. In order to develop an engaged following on Instagram you need to relate to your followers and make people want to follow you. This could involve sharing other photos, as well as photos of your products, while still keeping relevant to your brand and your target audience. 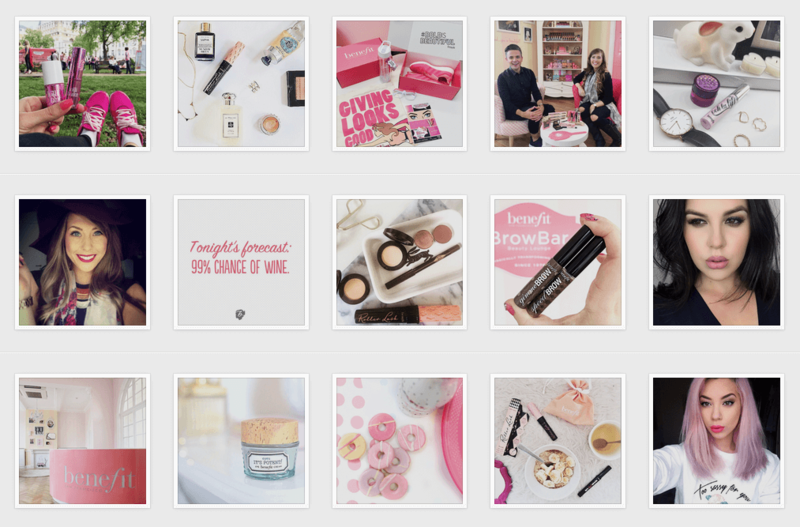 Benefit Cosmetics UK (@benefitcosmeticsuk) are able to successfully strike the balance between product photos and other relevant photos on their Instagram feed, as can be seen in the screenshot below. Alongside their product photos they share quotes and photos of non-beauty products that still stick to their branding (note the use of their brand’s colours in their posts). A great way to engage with your audience on Instagram is to reshare photos that they have posted relating to your brand on your profile. Just like with other social media platforms, Instagram provides a great source of user generated content for your brand. Resharing your fans photos is a great way to engage them with your brand and make them feel like they are a valued part of your community. Innocent Drinks (@innocentsmoothies) get this audience interaction very right. They are lucky in that they already have a highly engaged and loyal customer base, but reposting photos featuring their products that their fans share is a brilliant way to ensure that their customers stay engaged with the brand. It also means that they always have content to share on Instagram. Its a win, win. Sharing behind the scenes and exclusive photos of your brand on Instagram can be a great way to engage with your followers on a personal level, and make them feel that they are a valued member of your community. Sharing these types of photos is also a great way to encourage your followers to continue following your feed, as they are able to see behind the scenes shots that they may not be able to see elsewhere. 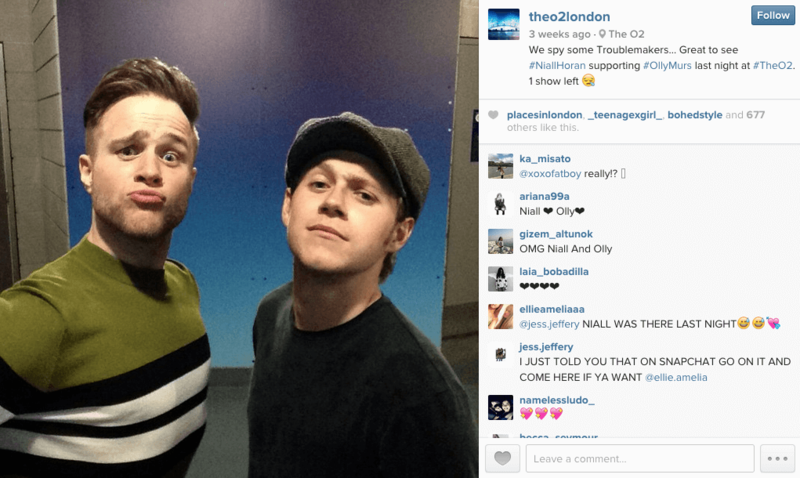 The o2 in London (@theo2london) has a brilliant Instagram feed where they regularly share behind the scenes photos with their followers. The o2 are lucky in that they have global superstars gracing their stage, and they use this to their advantage when posting on social media, giving fans a behind the scenes look at the venue and the artists. Now we’ve shared our tips for establishing your business on Instagram it’s over to you to start making the most of the platform for your brand. Happy Instagramming!